There are countless applications in Google Play Store. The phenomenal success of Android is attributed to the high number of people who use devices with this mobile system in the world. This is good news for companies who want to take advantage of this opportunity to expand their opportunities to increase the number of their customers, especially for smartphone and tablet users. As an open source development environment, Android has delighted millions of application developers around the world. With so many people combining their efforts, the number of applications developed has also exploded with many that are free and others offered at affordable prices. The evolution of the development platform has also opened up new opportunities for companies, application developers and salespeople. Businesses today are turning to mobile app developers to expand their advertising strategies to reach even more consumers. In the end, we end up with a wide range of mobile applications for businesses, games and other programs used for commercial purposes. Why Android rather than other platforms? The goal of any big or small business is to generate revenue. Every entrepreneur needs to compete with ingenuity to capture the attention of more potential customers. 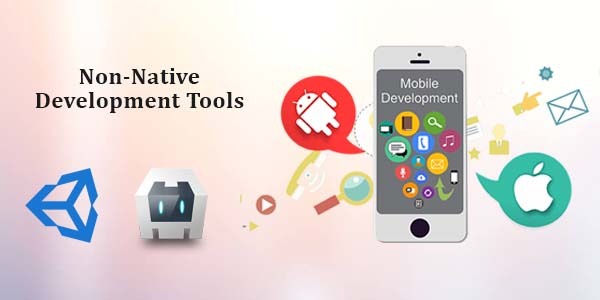 And with the evolution of the Android development platform, these business leaders have found in the creation of mobile application an even greater opportunity. And at the same time the Android application market is growing day by day offering even more free advertising opportunities to commercial companies. Even if other platforms also stand out as Apple or Windows Mobile, Android is by far the best for businesses for several reasons. The Google Play Store is surely the largest mobile app market that exists with millions of users accessing it every day. This makes Android applications reach more people than apps on other platforms. The Android development platform is more accessible and easier to use for creating personalized mobile apps. It also allows developers to test applications before offering a final version at the download point. Android app developers are also fortunate to be assisted in designing mobile apps with Android’s Software Development Kit (SDK). These ongoing upgrades mean that Android apps are always improving to meet the needs of users. Seen from this perspective, this is a good prospect for marketing specialists to constantly update their advertising strategies through mobile applications. The vast collection of applications available on Android allows you to develop everything you want. In addition, Android includes features that allow developers to develop them for other platforms such as BlackBerry or iPhone by transforming them into cross-platform applications for use on all mobile devices. Apple and Google are redoubling their efforts to have developers use their in-house tools to build applications. After all, it’s not for nothing that both groups are “inviting” California developers around the world for a week. One of the goals of these conferences is to help them make the best use of “official” technologies to enable them to design better apps. Xcode and Android Studio have a lot in common. We will be careful not to compare them precisely, we will just point out that these are two development environments ultra-complete and free – but remember that Apple and Google charge for the publication of an app on the App Store and Google Play. 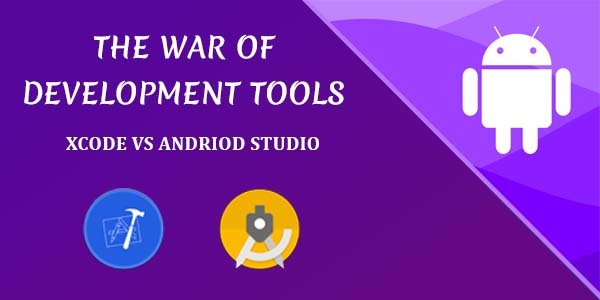 Recently, App Figures published a study in which it analyzes among other things the development tools used on both platforms (read: The App Store less provided, the Play Store always more packed ). The most surprising thing is that Google is ahead of Apple in its quest to impose its development environment. 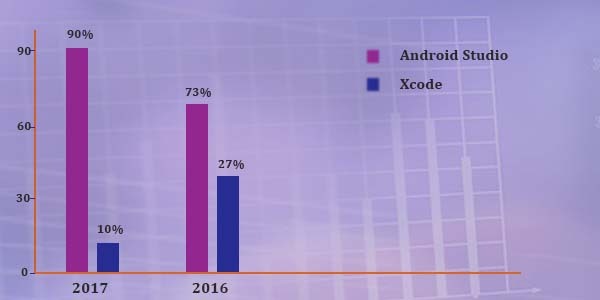 In 2017, 90% of apps on Android were made with Android Studio. A figure up 17 points over the previous year. On iOS, Xcode is only used in 76% of cases. But again, this is a figure up 8 points from 2016. How to explain such a difference? There may be the distribution method to take into account. Android Studio is multi-platform while Xcode is usable only on macOS. This exclusivity has also been one of the best reasons given to mobile developers to switch to Mac in the last decade. Apple has sold hundreds of thousands of machines with this. Small downside about Android however, this wide adoption is somewhat marred by the fact that the pool of terminals in use uses old versions of Android. But why after all want to push developers to use at this point Android Studio or Xcode? The reasons are multiple. In recent years, we have witnessed a war of movement between Android and iOS. Apple and Google have been constantly introducing new frameworks and APIs to enrich their respective operating systems. To make sure that the developers exploit these new features as quickly as possible and in the best possible way, it is essential to use the tools proposed by the two Californian groups. Normally, you should also achieve better performance and more economical apps. But the human factor also counts in these aspects of course. By tailoring each platform, the developers have everything in hand in theory to make better apps. But it requires the mastery of several programming languages and several development environments, as well as knowing the specificities of each platform … By far, whether for small or large structures, the choice of the native does not have only benefits, especially from an economic point of view. It can also feel like being trapped in a platform. As this article in the 1and1 Digital Guide shows, every way to do it has its advantages and disadvantages. Among the non-native development tools, there are two that stand out. These are Cordova and Unity. The first makes it possible to realize apps for different platforms using the programming languages of the web, while the second is specialized in the creation of games. Having identical applications from one platform to another is probably one of the things that must scare the most of Apple. It loses its argument of differentiation from the competition. For example, in recent months she has been pushing augmented reality very hard. Apple’s management believes it can make a difference in this niche.